Making it easier for app developers is a plus, but I think nearly any app developer would want to take advantage of the extra space immediately. 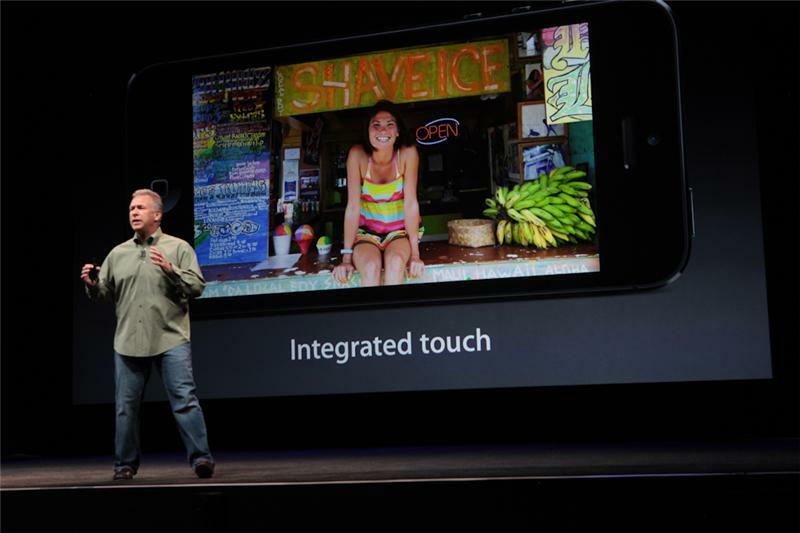 Touch sensors are now built into the display itself. 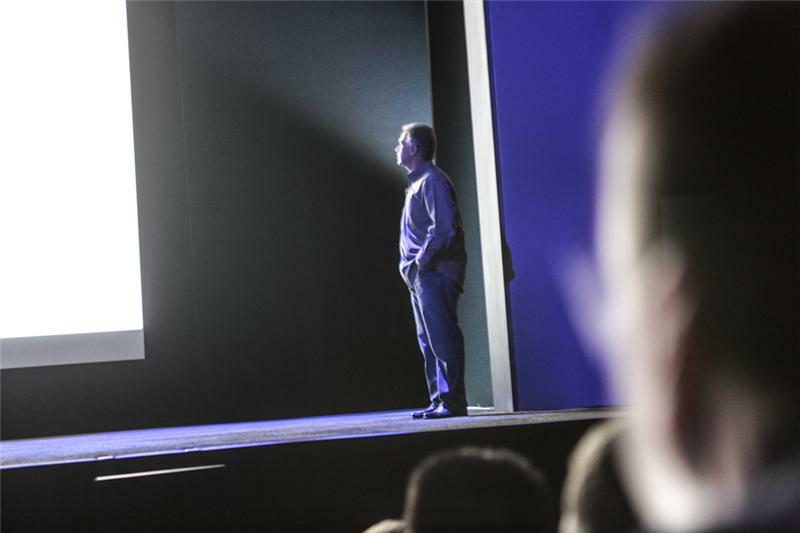 30% thinner as a result, also makes display less prone to glare. 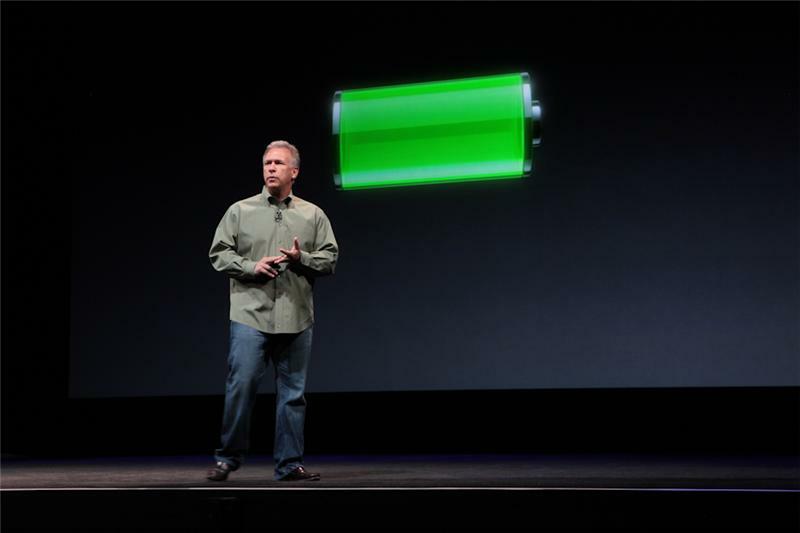 That's the first new feature, Schiller says. 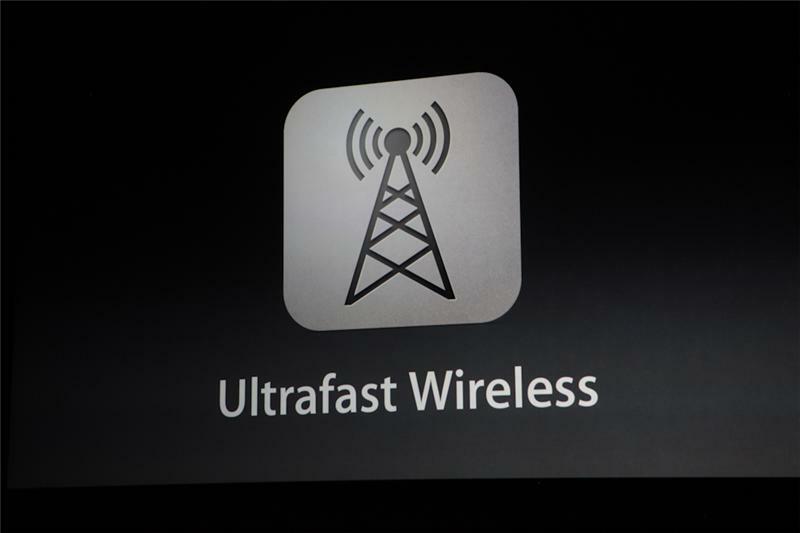 Onto "Ultrafast wireless technology." Wonder if the improved color saturation will make this screen feel on par with the third-gen iPad. 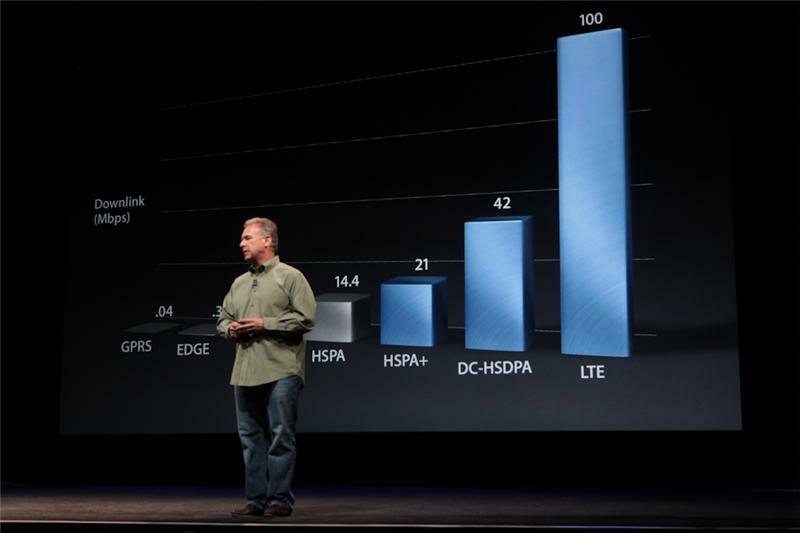 GPRS, EDGE, EV-DO, HSPA. Now: HDPA+, DC-HSPDA, and LTE. That means 4G LTE folks. Much as expected. No big surprises...yet. 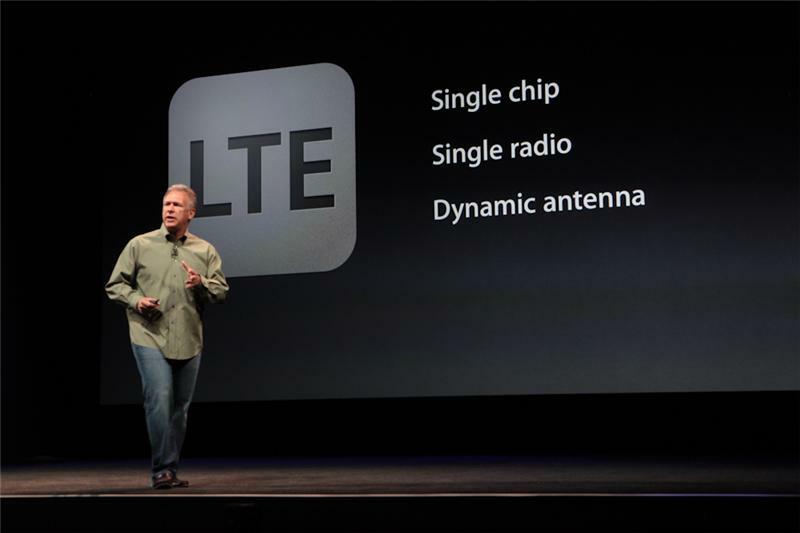 LTE has a single chip for voice and data, single radio chip, and a "dynamic antenna" Started with the iPhone 4S, and can now switch antenna connections between different networks. LTE is the most complicated networking spec, Schiller says. So what netwroks will supoort it? 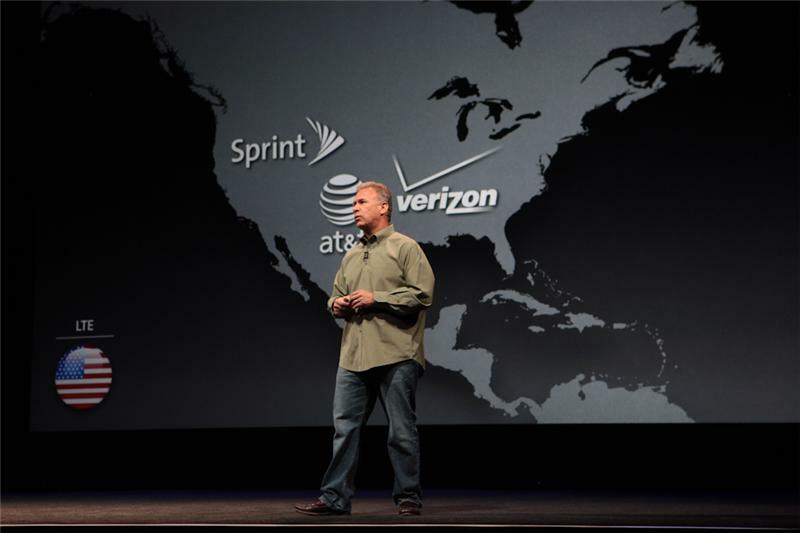 In U.S. Sprint, AT&T, Verizon. Canada: Bell, Telus, Fido, Vigin, Kudo. A 2x faster CPU and 2x faster graphics...now I'm curious how it compares to the A5X. 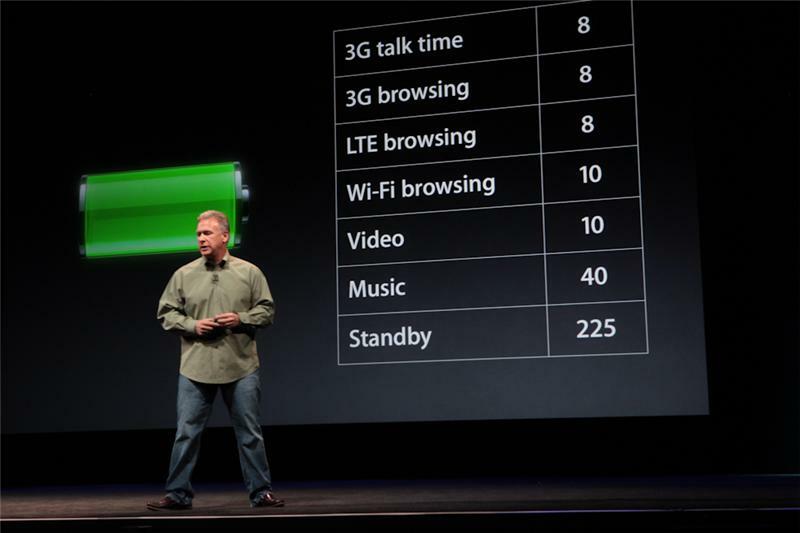 Schiller says the battery life is now 8 hrs 3G talktime, 3G browsing. 8hrs LTE browsing, 10 hrs Wi-Fi browsing, 10 hrs video, 40 hours Music. 225 hrs of standby. 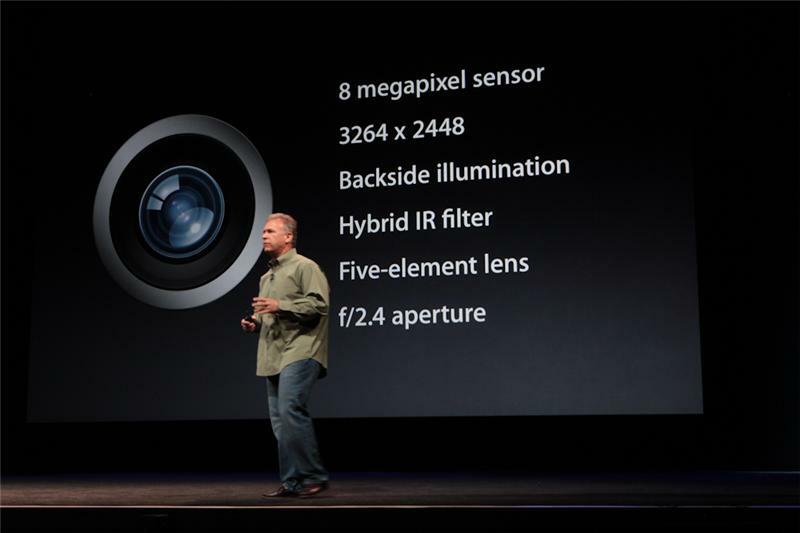 8 megapixel sensor, 3264x2448 resolution w/backside illumination, hybrid IR filter, five-element lens, f2.4 aperture. 25 percent smaller. Promising anywhere from 1.7 to 2.1x performance boosts launching various apps. 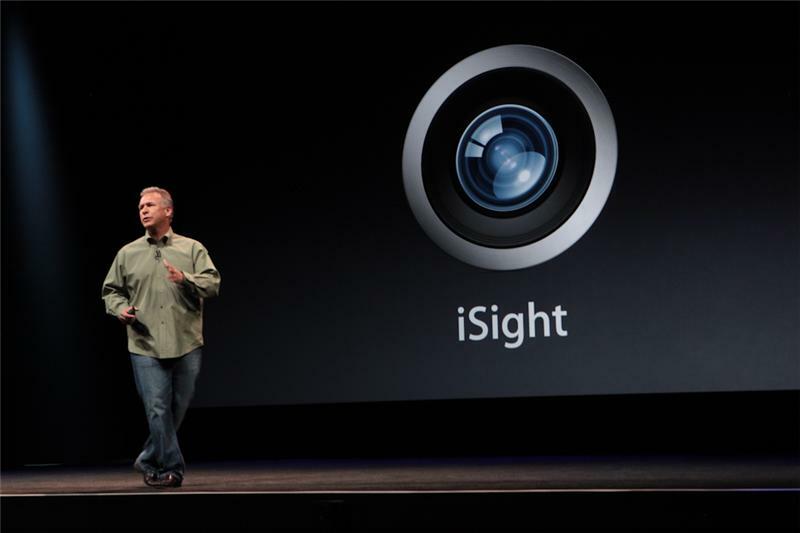 Combines pixels in the dark, which gives you up to two f stops better performance in low light. That's an impressive claim. EA Studios: game demo coming up. 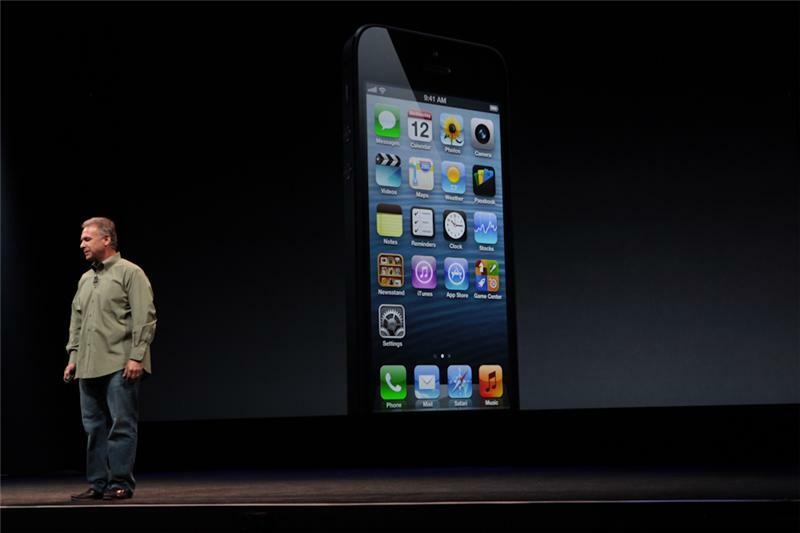 We'll learn how the iPhone 5 performs as a game handheld. Real Racing 3. 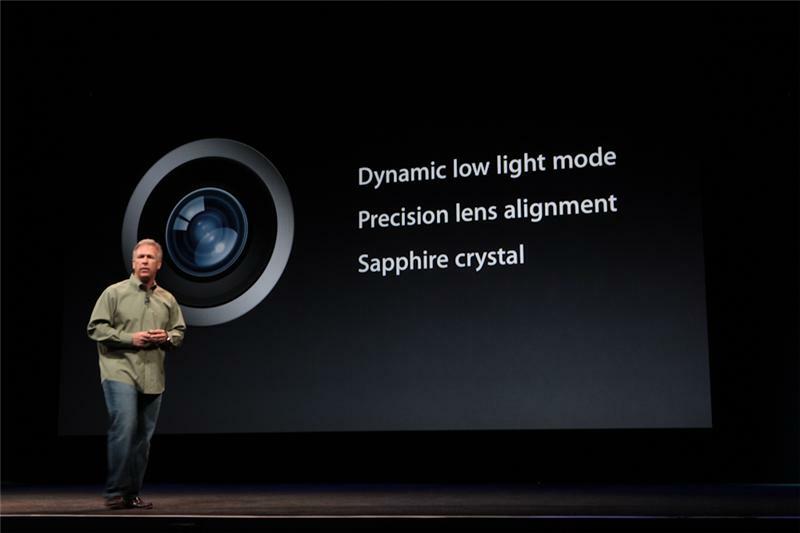 New "sapphire crystal" and "precision lens alignment." "It took all of our leaning, our best thinking to realize something so simple, so clear and yet so truly extraordinary," Ive gushes. Schiller now back up after that. Two questions left -- how much do I have to spend? That's the video. very focused on engineering and design, sleekness. Same prices. No 128GB model. 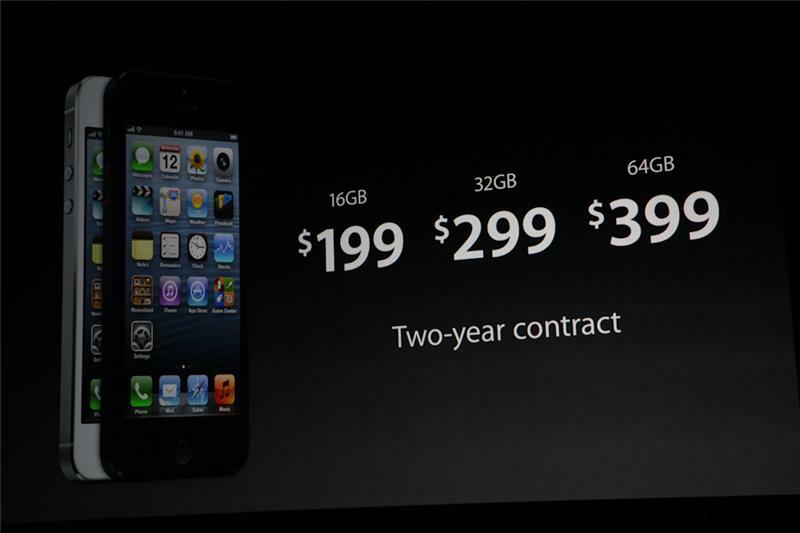 iPhone 4 w/8GB for free w/contract, i16GB iPhone 4S for $99. 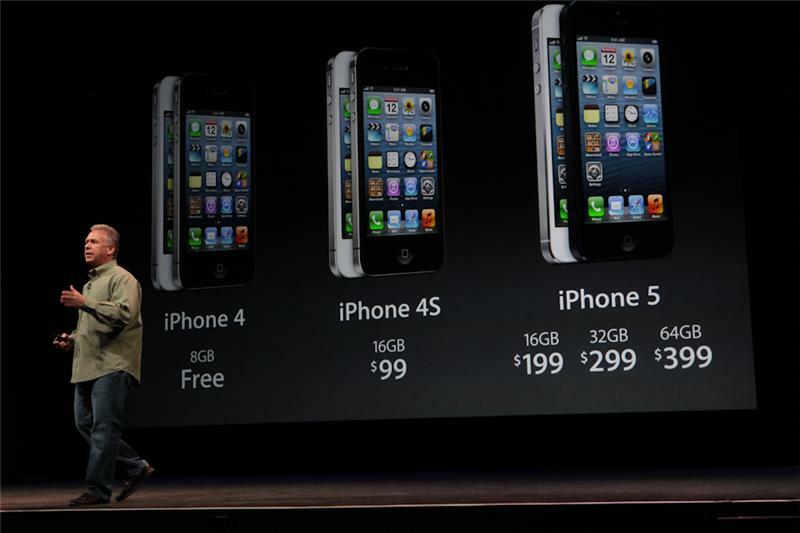 The free iPhone 4 takes the place of the 3GS.